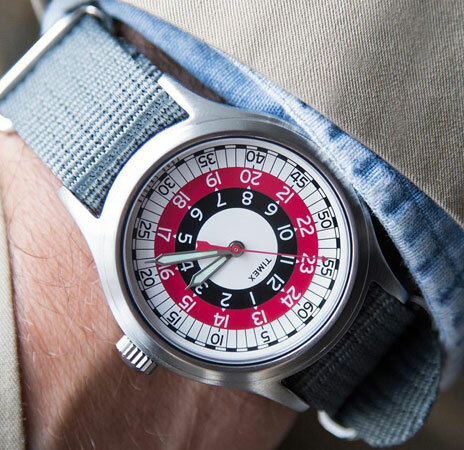 First spotted in a year or so ago as a limited edition, the Timex x Todd Snyder Mod Watch is now back, with two colour options this time. Hardly surprising that the limited edition has become more of a standard edition as it did prove incredibly popular – and for good reason. This is actually an archive piece from Timex, with a bit of tweaking by Todd Snyder. The original was known as the Timex Sprite back in the 1970s and was produced as a military watch rather than something for the ‘Mod’ scene. 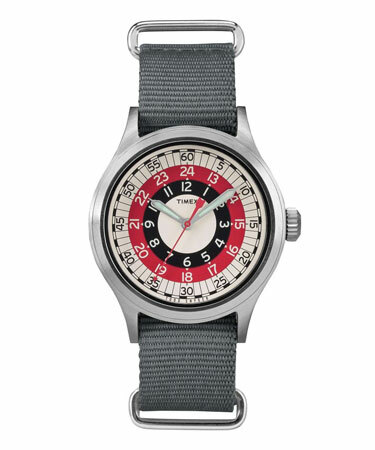 But the target / bullseye design is the eye-catching feature here and the reason why this is known as the Mod Watch now it has been reissued. 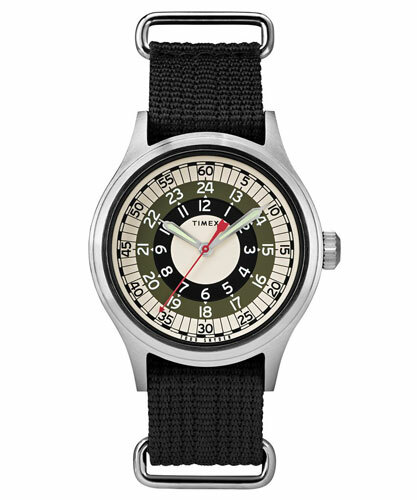 A wonderful everyday watch, it has a vintage-style dial and a military nylon strap in keeping with its origins, with the original bullseye colour scheme still available, but now joined by a second take, which is more of an olive shade. 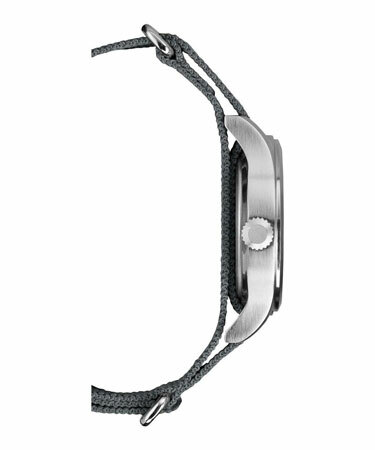 Both come with a 40mm face and have 50 metre water resistance as well as a Quartz movement. Both are priced the same too at $138, available directly from Todd Snyder and as far as I know, nowhere else. But they do ship worldwide.